I thought it was worth repeating. I’m in a shouting, warning of danger mood. To re-cement a crown with or without its foundation attached is usually a COMPROMISE! Here are the terms and conditions for an attempt to have some success. The margins (edge of the crown or foundation) must fit on to the root snugly and have hardly any gaps. No crack that goes across the root from one side to the other. This is the end of the tooth if this arises. No swelling at the end of the root. If there is then this means a root canal treatment needs to be done. 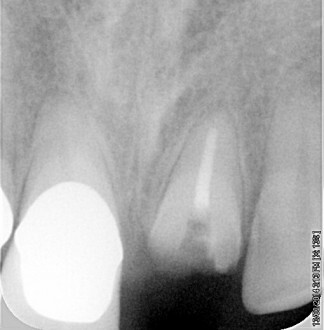 No swelling further up the root towards the gum. If this occurs then this may mean a crack further up the root and usually spells the end of the root. If re-cementing the original crown is unsuitable then a special mould (using a polymer that has elastic memory) of the crown on the tooth is made. 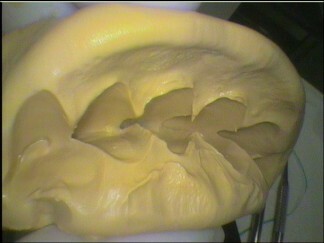 The mould can be used to make a temporary crown to replace the original crown until a more permanent solution can be done. 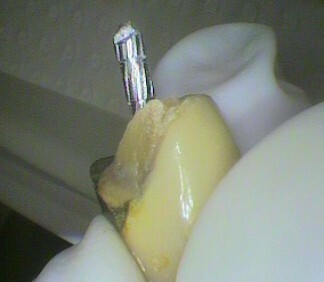 The crown with or without its foundation and post or pins is then cemented back onto the root. Very important: The bite needs to be adjusted to take the pressure off the tooth. Do not bite or tear hard foods on this tooth! If it feels different at all in the future get back to the dentist ASAP! 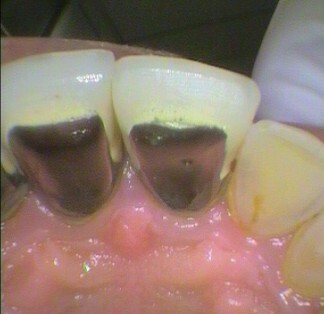 A micro loose crown can decay very quickly under it or it may have an infection. Next instalment: When a crown comes off what do we do? Part 2- Re-build the foundation and reuse the crown.